A whiplash injury occurs when a violent force causes the head and neck to move quickly relative to the rest of the body. The sudden strain on the tissues causes injury to the surrounding soft tissues and joints. It may result from a front, rear-end or side-impact motor vehicle collisions, but can also occur during diving or other mishaps. Motor vehicle accidents are the most common cause of whiplash injury. However, this injury may also be the result of contact sports. Injuries that affect the integrity and/or function of one or many of the following: muscles, tendons, fascia layers between structures, joint capsules, ligaments, nerves, vascular and lymphatic tissue. The severity of the soft-tissue injury depends on the individual patient involved, and the nature and circumstances of the injury. The degree of injury may be affected by any of the following factors: length of neck, weight of head, head position upon impact, anticipation, type of vehicles, use of seat belts and head rests, angle and speed of impact, age, previous injuries, structural defects plus the general state of health, muscle strength and fitness. Grade 1 – Neck complaint of pain, stiffness or tenderness only. No physical signs. Grade 2 – Neck complaint and musculoskeletal signs which include decreased range of motion and point tenderness. Grade 3 – Neck complaint and neurological signs which include decreased or absent deep tendon reflexes, weakness and sensory deficits. The program will consist of active treatments such as therapeutic exercises, and treatments such as hands-on therapy for the soft tissues in the affected regions. There are a variety of techniques which may be utilized to address According to the Quebec Task Force on Spinal Disorders. “Massage (therapy) is the most frequently used therapy for musculoskeletal problems, and is particularly useful in controlling pain.” Massage therapy plays a key role in WAD rehabilitation by decreasing muscle spasm and pain, restoring pain-free range of motion, improving muscle strength, endurance and tone, minimizing adhesions, eliminating inflammatory by-products, and reducing headaches. 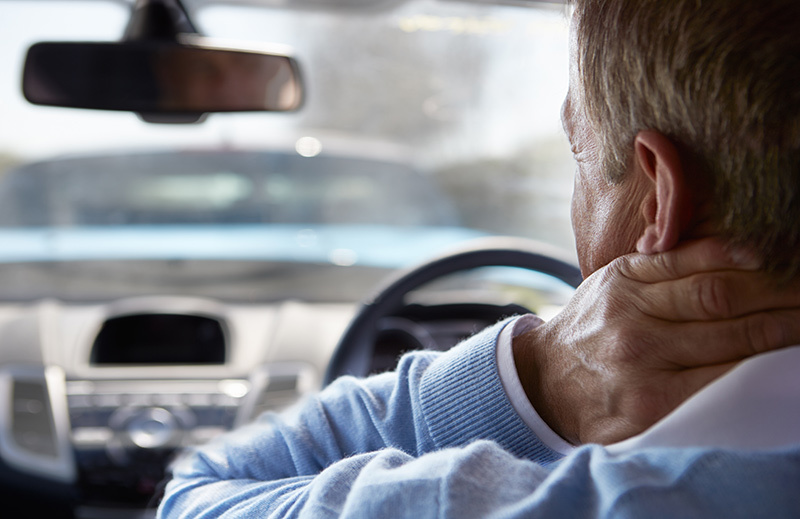 Muscles can be overstretched, strained, torn or bruised by a whiplash injury. This may result in a muscle spasm, inflammation, limitation of range of motion, and alteration of normal bodily alignment. A sprain or strain represents an over stretching (1st degree) or a tearing (2nd-4th degree) that occurs due to injury to a ligament (sprain) or to a muscle tendon (strain). This is pain originating where the nerve leaves the spinal cord, and radiating along the course of the nerve. Nerves can be overstretched but remain intact or they can actually be torn. Secondary complications such as shoulder, chest, mid- or low-back pain or discomfort may occur from the guarding and compensations of the surrounding muscles.